Our mission is to create the denim classics of tomorrow through continuous innovation in design with respect for people & planet and in a transparent manner. Sustainable design innovation is a key part of that mission, to ensure that the denim of today, and of the future, is created with respect for people & planet in a transparent manner. We believe that sustainability is not a constraint to denim innovation, but rather an exciting opportunity to unlock new potential within the fabric itself. Innovating for the future includes taking responsibility for the social and environmental impact of our products. We focus on minimizing the environmental impact of our products by taking a circular approach to how denim is both made and used, and are increasing the use of materials, washings and finishes that contribute to a sustainable future without compromising on quality, comfort and design. We believe it is also our responsibility to take leadership within the industry and continuously experiment and develop new sustainable design innovations using denim as our canvas. RAW FOR THE PLANET is G-Star’s platform to continually innovate in sustainable design, aligned with our belief to a circular approach to how denim is made and used. It marks an evolution of our approach to sustainability, to ensure that we are not only replacing standard design and development practices with proven sustainable solutions, but also that we are committed to continuing to push the boundaries of sustainable innovation through research and experimentation. RAW FOR THE PLANET’S goal is to reach circularity within denim design, and host iterative product and design innovations that attempt to achieve this. Our ambition is to launch new sustainable innovations each season under the RFTP umbrella, while continuing to drive tested sustainable solutions into our main collection. Denim is the core of our collection and is made of cotton. As a result, cotton represents 80% of the raw materials we use. That is why we focus on sustainable options of this crop - one that generally needs a lot of water and pesticides to grow. Our goal is to reduce our environmental footprint by using 100% sustainable cotton by 2020. For all other materials we use in our collection, we aim to use 90% of sustainable materials by 2020. These materials range from natural fibers such as recycled wool, to polymers such as recycled nylon. G‑Star is committed to ensure that all raw materials used in our products are grown and manufactured in a responsible way that preserves (natural) resources and respects human & animal rights. In 2016 we reached 28% of sustainable cotton in our collection; 30% of sustainable materials overall. Sustainable materials still require more complex production processes and are less widely available than conventional ones. Therefore, fitting them into our supply chain is a challenge that we take on in close cooperation with our suppliers. The G‑Star Materials policy is the guideline for our suppliers for ethical sourcing of raw materials and lists our restrictions and requirements. We not only work to increase the use of sustainable materials in our collection but also strive to improve the finishes and washes we use in our production process. We can minimize the environmental impact of our products by looking for materials, washing techniques, and finishes that contribute to a more sustainable future without compromising on quality, comfort and design. We are working together with our suppliers on various innovative dyeing and finishing processes, including ozone and laser treatments, the cleanest indigo technology, sustainable dyestuff like Earthcolors, recycrom that have a reduced social and in specific environmental impact. In November 2010, we publically announced to ban the use of sandblasting as finishing method in our production process and stopped the sale of sandblasted products as of end 2011. Monitoring compliance of the ban has since been included in our regular compliance process. 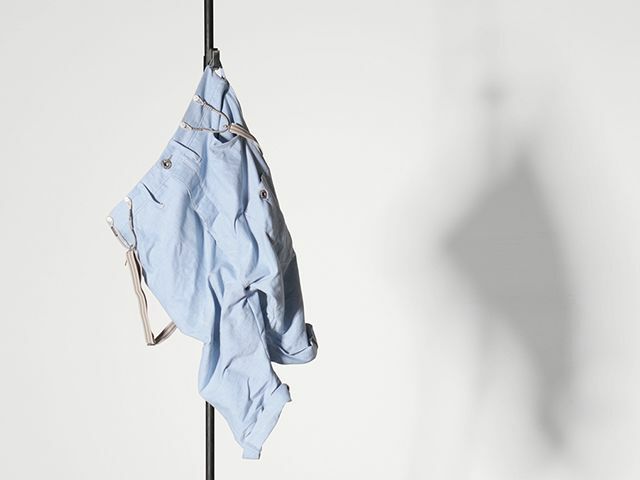 Styles in Hydrite Denim fabric, available since 2013, are made using innovative dyeing and finishing processes that generate a big reduction in water (up to 95%), energy and chemical usage in comparison to conventional processes. In addition, these denims are dried in the air with a rotating system that is able to dry 40.000 jeans in 25 minutes, instead of using conventional dryers. Every product G‑Star sells has to live up to our strict quality requirements and serve the life span it is designed for. For that reason, we have a strict product testing procedure in place, based on international testing standards. Within this procedure our products are tested for compliance to our Restricted Substances List (RSL) and quality aspects such as strength, tearing, pilling and color fastness. The high quality of our products is constantly monitored and checked by our internal quality team at our suppliers’ factories before the goods are shipped to the store. Once the garment is yours, you can extend its lifespan through proper care as well as help reduce the carbon footprint of your clothing. Laundry alone accounts for around 30% of the carbon footprint of clothing. Our products feature Clevercare information that provide explicit care instructions designed to help you get the most out of your clothing. A nice benefit is it leads to water and energy savings through less frequent machine-washing and drying, as well as guidance on ironing and professional laundering techniques. G-Star is committed to ensure that the raw materials used in our products are manufactured in a responsible way that preserves natural resources and respects human & animal rights. That is why we have the G‑Star Materials Policy that lists our restrictions and requirements for ethical sourcing of raw materials. The standards in the Materials Policy focus on animal welfare, nature conservation and human rights. It includes a ban on fur and angora and lists requirements for down, leather, wool, wood and cotton. Attention to sustainability starts at the design stage and continues throughout the entire manufacturing process. This makes it important for us to work together with suppliers that share G-Star’s values, including transparency. G-Star’s suppliers must operate according to the requirements as listed in the Materials Policy. We work together with our suppliers and other stakeholders to trace back the origin of raw materials and identify solutions to ensure an ethical sourcing of raw materials such as certification on a seasonal basis or supplier nomination. Even though our main raw material is cotton, we are aware of the growing use of forest-based fabrics in apparel supply chains. G‑Star joined the environmental organization Canopy in an initiative to encourage the fashion industry to avoid sourcing fabrics from ancient and endangered forests, together with a growing list of international clothing brands, retailers and designers and address the sustainable production of forest-based fabrics, including man-made cellulosic fabrics made from dissolving pulp (rayon, viscose, lyocell and modal). In our policy G‑Star gives preference to recycled and FSC certified wood products. We are partner of the Better Cotton Initiative (BCI) with the aim to increase the uptake of Better Cotton throughout our supply chain, together with organic and recycled cotton, in order to reach our 100% sustainable cotton goal by 2020. BCI promotes good farming practices and helps farmers to make global cotton production better for the welfare of farming communities, the environment it grows in and the sector’s future. Via the GSRD Foundation and in cooperation with Solidaridad, G‑Star has been supporting farmers since 2012 to make steps toward growing Better Cotton. Textile Exchange is a global non-profit that works closely with its members to drive industry transformation in preferred fibers, integrity and standards and responsible supply networks. They identify and share best practices regarding farming, materials, processing, traceability and product end-of-life in order to reduce the textile industry’s impact on the world’s water, soil and air, and the human population. We are a partner of Textile Exchange since 2009. In 2016 the Plastic Soup Foundation (PSF) and G‑Star RAW joined forces to stop the microfiber released by washing plastic garments. In 2025, there will be one ton of plastic for every three tons of fish in the oceans, and in 2050 the weight of plastic has overtaken that of fish. Machine washing of clothes is a big source that ocean plastic pollution. Every time we do the laundry, synthetic garments shed small plastic fibers that end up in the water and pollute rivers and oceans. Together with PSF and their partners, we contribute to the development of one or more innovative solutions to prevent the release of plastic fibers from garments in the future, such as fabrics that do not release microfibers or washing machine filters that capture the released fibers.